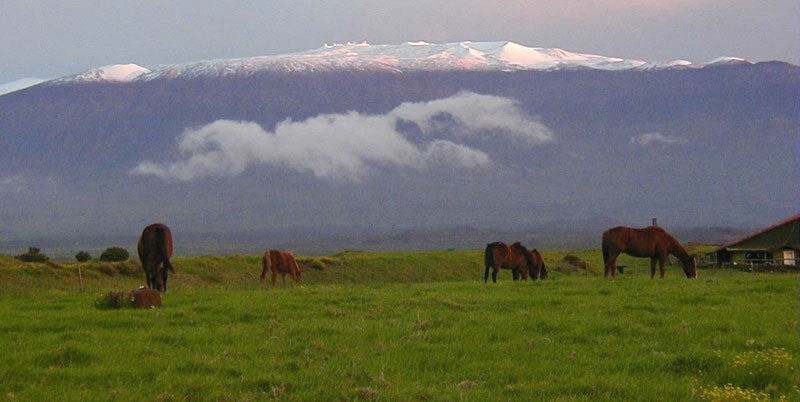 The name is Mauna Kea or White Mountain, from its undersea base of -19,000 feet to the wind-swept peaks of 13,796 feet, it's the world's highest mountain! It offers some of the world's highest skiing. This massive extinct volcano is blessed with the finest snow in the world, opening almost 100 square miles of ski able terrain. At this latitude the conditions are spring like; the snow is sugar corn. We call it 'Pineapple Powder'. The access is by road in four-wheel drive vehicles. 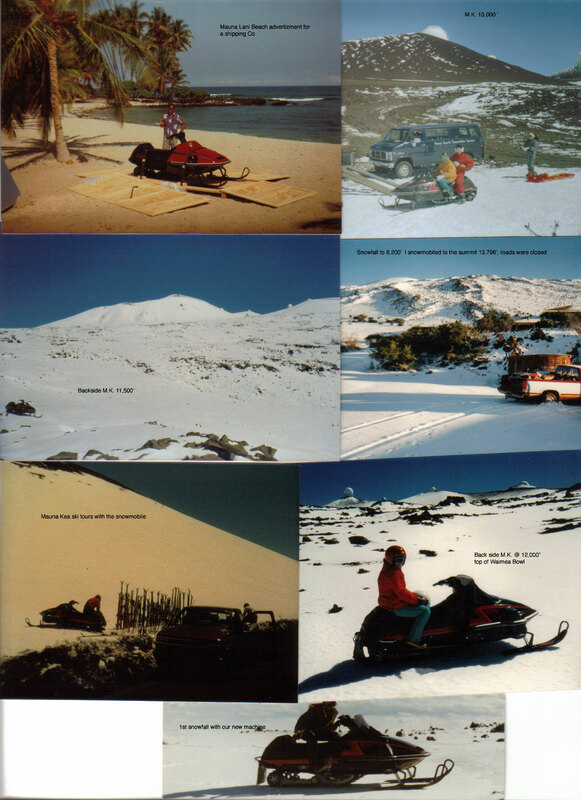 The road serves the internationally famous observatories on the summit, but it also makes accessible numerous pu'us (volcanic cones) that are a skier's delight. Consider two-mile plus runs and the possibility of 2500' to 4500' of vertical per run! Add to that a 360° panorama of Mauna Kea's moonscape, lush tropical vegetation below, the encircling ocean and Maui's Haleakala visible on the horizon. This is one of the most exotic skiing experiences anywhere. You can ski in the Pineapple Powder and surf off a tropical beach all in the same day! Mountain Ski Services, Available Upon Request. 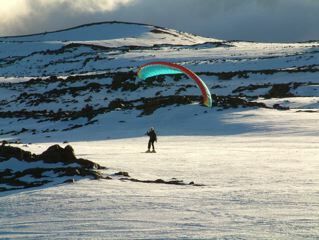 Ski Guides Hawaii give more kick to the glide! Advanced registration and deposits are recommended due to the popularity and high demand during the season (November through July). 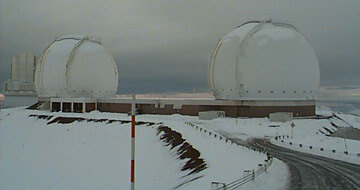 Mauna Kea is a National Science Reserve and is not maintained as a Ski Area. Skiing areas may have un- marked and exposed rocks. Adverse weather conditions may arise unexpectantly- be prepared with adequate clothing, dark sun glasses and good sun-screen lotions. 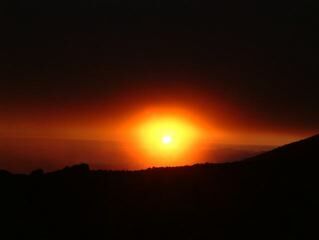 Due to the high altitude of Mauna Kea ( 38% less available oxygen! ), it is advisable to check with your personal physician in all cases, including heart & lung. Most run's are for Intermediate to Advance, Skiers / Snowboarders. Weather Permitting. If you thought that Hawaii could offer only sun, sand, surf and Hula dancers, think again! We'd like to take you high above the clouds for a ski experience you'll never forget. 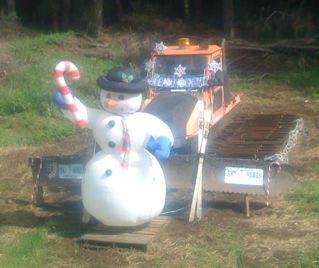 "THE BIG ISLAND IS HAWAII"
Prince Kuhio Ski Run .................. Mauna Kea .............. Mauna Loa ............ Hualalai ....... MKNSP SnowCat " Poliahu "